Shellac nail polish has been all the rage for a few years now and still going strong down the nail salons. I still haven’t tried it and feel like I’m probably in that bottom 2% or something like that. Vibrant super shiny colours that don’t fade, a natural look – sold, surely? Well shellac nails look more natural than acrylics, and the super shiny finish is enviable against everyday polish. 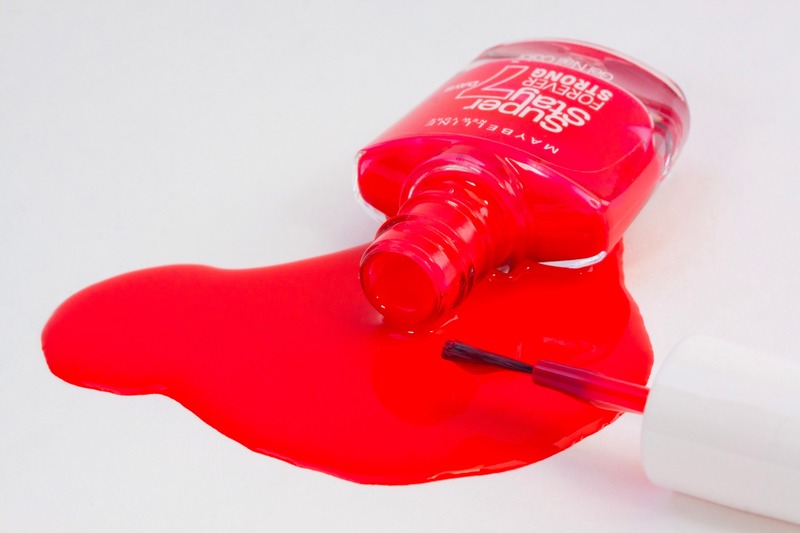 The colour is long lasting and seems more vibrant than a normal nail varnish – never fading or getting dull. Despite the selling points, a few things are still holding me back. I don’t like the idea of being stuck with one nail colour and not being able to change it without the rigamarole of having to keep going back to a nail salon for a long winded session. I just don’t like the sound of anything that requires deliberate exposure to UV rays – the rays we try our hardest to protect ourselves from when out in the sun. Is it just me? There seem to be quite a few gel polishes on the market that pose as an alternative to shellac, surely one of these must have near enough the same results! Gel manicure products have been shown to contain cancer causing ingredients (as I think many nail polishes do). The spread of hepatitis C is a real problem where salons do not sterilise implements properly – implements that have traces of blood on them – though not specific to shellac treatments, this does make me feel a bit wearier about trips to the local nail salon. I had my nails done with shellac for the first time 3 weeks ago. I had it done for a special occasion as wouldn’t normally do it. It is still looking good and I am very impressed with it. I hadn’t read anything about shellac before having them done so I’m hoping this will come off easily and leave no damage. I haven’t tried it, but would like to. Iv never had it done for the many points you have mentioned. I have a friend who has just started doing cal gel nails that are apparently much better. Not sure if i want to give them a go or not yet though! I would rather do my own to be honest!! Yes, I think you’re right, and they do look lovely…. I couldn’t be bothered with the hassle, to be honest. I’m sure they would look amazing but I’m happy doing my own with gel-look polishes. Maybe for a really special occasion I’d bother. The health issues aren’t a biggie for me anyway as it would be a rare thing for me, certainly not regular. Fair enough – and I agree, it does seem a lot of hassle. I’m not sure of the damage is worth it…..hopefully your nails have recovered. I don’t like the idea of it at all. I think we need to be more aware of what is in the products we use generally. I do wear nail polish but not all the time – I used to work with a girl who used nail polish all the time and she came in one day without it on and her nails were in very poor condition. Please delete this comment as I forgot to use the hashtag. Sorry about that! Good points – I must admit. I don’t like my nails bare – but tend to go for the less toxic nail polishes now (even though they cost more). I love the finish that shellac and gel nail polish gives to my nails, so glossy. I have tried both and I think gel lasts longer. But I only use for special occasions, because it is such a nightmare to remove, or it costs a fortune to maintain at the salon. Yes, cost and the aggro of removing/redoing it are a real putt off. The shiny finish and non-chipping are supposed to be the main appeal….but the negatives seem to be outweighing this for me! I’ve had it once and it did last longer than normal nail polish. It didn’t last as long as I was expecting though (maybe I had too high expectations?!) and I’m always wary of the toxins in any nail polish. Maybe it’s a lot of effort for something that might not last very long. I do wear nail polish but I’ve thrown a lot away recently after becoming a bit more aware of the toxic chemicals. Sally Hansen and Zoya are some of a handful of brands that are supposed to be free from the more harmful chemicals – they’re a bit pricier so I have fewer bottles now. I find myself admiring other people’s gel nails, but have decided not to try them myself. Fake nails are also ver bad for nails, even though they allow your nails to grow out, mine are always weaker and end up breaking once I remove them – so I think I’m done with them now. coincidentally, I just had gel nail polish for 1st time about a month ago – very damaging to nails to remove – do you wear nail polish at all?